Since its launch in March of last year, the Switch has seen a whole host of games arrive in all shapes and sizes. We've seen at least one major first-party release per month for the majority of that time, several incredibly popular third-party franchises, and more indie games than you can waggle a Joy-Con at. In fact, it isn't uncommon for the platform to receive over 20 new games a week, all splattering the eShop with almost too much choice. According to Nintendo of America president Reggie Fils-Aimé, the Switch's game total has now risen to more than 700. Considering the console has only been on the market for 16 months, this is a pretty staggering amount, and that total includes a pleasingly diverse range of games - something that Reggie says is always a goal for Nintendo. We've done the maths, and this equates to around one and a half game releases every single day. If anyone out there is still thinking that "the Switch has no games", it's pretty tough to argue with a statistic like this. Do you think the Switch has a good variety of games? Do you regularly manage to find titles that interest you? 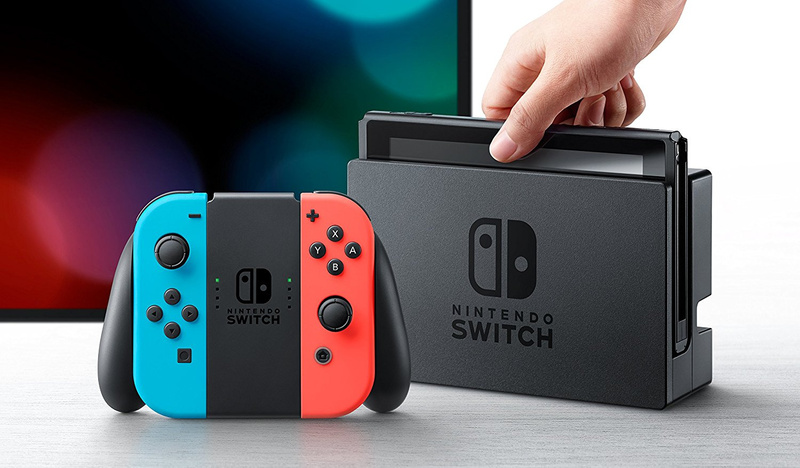 Let us know what you think of the Switch's lineup in the comments below. Now that’s a ‘switch’ from Wii U, eh? And in such a short span of time. Too much variety in fact... all the games add up and while it's always sad to hear of game ports passing the Switch, the current library is overwhelmingly large that my backlog of games is at least 10x that of mine during the WiiU era No games indeed. As someone who had a Wii U it's a great change! This is exactly why it disappoints me when players say "I played Mario, i played Zelda, now my Switch is gathering dust" - that's entirely on you and your refusal to look at the other 98 games. Go expand your horizons. @Anti-Matter I NEED my kickboxing fashion poodle that I can virtually walk around with my virtual friends NOW! Great news. I didn't expect there to be that many yet though. Wow. NL's review team has their work cut out for them. The Switch is slowly getting to where I want it to be. I would also like a new Mario Kart, as MK8 is like 4 years old and stale. Great news, certainly more than my means and time can account for. Few more announcements from E3 would be welcome though, Shenmue please!!!!!! I simply cannot hold all these games, despite the fact I'm a 10+ gaming hours per week player. @Anti-Matter My Time at Portia is coming in October, that's a Fantasy Life style game (sort of) and is the game I'm most looking forward to. But I agree with your list even though some of them aren't for me, and would add to it a decent, realistic car racing game for my husband, who has been very disappointed by the racing games released so far. That said though, I have plenty of games I haven't even started playing yet. I'm still having too much fun trying to find all the koroks in BotW. The payoff might be rubbish in-game, but the fun I'm having searching everywhere more than makes up for that. Is Alex planing to make a 3h video when it hits 1000 games like he did with the first 100? My Time at Portia Switch version on October 2018 ?! Btw, you forgot about Re:Legend (Rune Factory / Harvest Moon clones with capturing Monster like Pokemon / Monster Hunter). And how many of them are crappy mobile ports? Nintendo Switch has over 700 games and cannot organize their Eshop properly. The variety of game of the Switch is pretty cool. Some genres are pretty underwhelming, though. For examble racing games. There are no real must have racing games on the Switch yet. And some more stratery games would be nice, too. But at least some are announced already or available. ATM, there´s a bit too much superficial and redundant games in the shop and too little big titles. But overall, there´s enough to buy and enough to look forward to. It has no games and Nintendo are doooooooooooooooooooomed . @Anti-Matter The devs said in an update some time ago that an October release was the goal, and the Switch version will be out at the same time as the PS4/Xbox version. They wanted it to be in early access on Steam for 9 months to iron everything out, and that 9 months would end in October. There was a fairly major update recently as well. The PS4 version is being shown at E3 now, and so far updates have been coming in on time, so it's all looking good for an October release still. If you follow them on Twitter you can keep up with what's happening. A game to everyone but still lacking some quality games in some genres. Where are the racing games? Sensationalist headling means nothing - sensationally. The 500 games nobody bought doesn't exactly count. Minus the mobile ports... Minus the wii u ports... Minus every game that can be bought cheaper on other platforms and/or is already 2+ years old... there's really not 700 games there. There we go again, some people already argue about there being no games despite this, since smaller games don't count. @River3636 I just bought a bunch of ds rpgs off ebay. And I went back and played breath of fire 1 and 2 on 3ds. I've got bang on 20% of those games and only a handful of regrettable purchases. @Anti-Matter There is a life sim game called World Neverland that released a couple of months back. It's not my kind of game so I've no idea if it's good or not and I don't recall NL reviewing it. I think it's fairly popular on mobile though. @bolt05 I Prepurchased Shining Renaissance and played the Demo. The Demo was short but the game appears to be promising. It comes out7/10/2018 and it was 44 dollars. Look into to that one as well. I’ve grabbed Stardew Valley and intend to get Thimbleweed Park and Oxenfree (again). Now I’ll need Grim Fandango and Night Trap, as well. There’s plenty for me when I split my time between life, work, DS, and old WiiU I missed. On the Eshop I only see the usual 20 and the new arrivals. How can I see the full list? are they keeping it secret? You mean a whole lot of shovelware and bargain bin level fare but overpriced! Don't you just want that blatant Gradius ripoff game or maybe that space party bear game! Sure, not every one of those games is great, but there are at least 100+ objectively excellent games in that bunch, which is a very solid number. Including over 30 games in my possession and almost 200 on my eShop wishlist. 200 is the cap, by the way - never thought I'd learn of such a thing first-hand. @PaoloA unless that was sarcasm, you can just scroll down the new releases and choose to show the full list menu - filters and all. @GameOtaku username checks out. XD I've got over 20 hours from "bargain bin shovelware" like King Oddball. Being a simpler and cheaper game means nothing for the definition of a game - even Pong remains playable and entertaining 40+ years later. And Astro Bears Party? A clever take on the classic "snake" arcade with couch battles that was recently on sale for a DOLLAR. Which is incidentally the natural answer to all the "overpriced" complaints - stop playing financial specialists, let the publishers decide the price and wait for a sale if you're interested at all but not for the amount they ask. Market works on offer and demand, not on online fanmouthed soapboxes. @River3636 You mean Shining Resonance Refrain? Its a port of a JP only PS3 game, its not really my style of rpg probably going to skip that one. Its very... Anime. But thanks for mentioning it anyway. @mailman Why do you need exclusive games on the Switch? I don’t understand how its exclusivity or not affects your enjoyment of a game? Thank you mate! Really appreciated. They should make this full list menu at top level, not under the new releases. If you enjoy them fine, but it doesn't change the fact most of the Indy games on the shop aren't worth the price. The Indy scene would be much better in my honest opinion if they would be published by a bigger legacy company say Capcom, Konami, Wayforward or Inticreates. Having a game under the banner of a bigger company would help out in justifying the price. Take one of my favorite steam games it launched for less than a dollar, that price point is still there even with dlc you would not be out over maybe $5! @bolt05 no, there are 700 on there. You can buy them and play them. and I can get just as much time if not more than any Indy game offers. How the hell is it had to find games on the eshop? People are so helpless. Now if Nintendo could do something about eshop, it’s still a pain to browse for games. You know, my Switch games are MIXTURE of Switch exclusives (ARMS, Super Mario Odyssey, 1-2-Switch, etc), Ports from other machines (Portal Knights, Overcooked Special Edition, Lego City Undercover, etc) & released simultaneously on another consoles ( Street Fighter 30th Anniversary, Puyo Puyo Tetris, Lost Sphear). And i Don't Care if my Switch games are Switch Exclusives or Not, as long i can play them on Switch. @GameOtaku but you cannot compare games more than 20 years old with new experiences. I will happily pay more for games like shovel knight, Celeste, golf story, etc than SMO for the 10th time. +1 for Astro Bears Party. So that's about 650 indie ports. @TommyTLG Maybe the new Sonic Racing game will fill that MK shaped hole for awhile? And to think, all of this is waiting for those who don't have a Switch yet! Glad to go online to the Nintendo web eShop and see the number getting bigger (+840 now) every two or three days. Can’t experience that from the console though, and that’s bad. Would like to see more analysis into this article, percentages per genre, style, mechanics, developer, languages, quality (that’s a hard one) and more... NL there you have a great follow up article! Thank you. Well, first, I wouldn't count the many cheap mobile ports sold for about twice their mobile price "because... reasons". I can already get them on mobile, for a lot less, and even somtimes for free.... Yes, these are technicaly games available on the Switch. But games people (more than a handful) want? Let me doubt that. WiiU ports, while nice, shouldn't really be calculated as "original games" either. And seriously, ports of old games sold full price again are a bit insulting too. But hey, that's Nintendo so no surprise here. And while indie games are nice, and that there are true gems among those, we can't live on these alone. Personnaly, I need games with a bit more substance to them from time to time. The difference between a mobile ecosystem and a console ecosystem, is that the console should have more games aimed at gamers, and not mostly the same thing as what you'd find on mobile platforms. If you don't count indies and shovelware, it really only had around 150 good games. If we count all the games on the Wii U, including the VC games, how many games would the Wii U have? There are a few under-represented genre, like racing and arcade sports, but help seems to be on the way. 700 games is still a game. I have several sh*tty games and tens of good games that I do actually enjoy; several indies and exclusive ones. But I really am hooked to Switch since I take it almost everywhere with me，leaving my PS4 left at home. I remembered I bought Horizon Zero Dawn and it was still wrapped in plastic for almost 3 months since Switch was just way too portable for me. Then I bought several PS4 games and again，I only played it a few times before I jump into Switch again. I can play it on my bed upside down and in any angles I want with it. Now I focused more on buying games on the Switch，even their sh*tty indie games. It is still a game and that keeps me occupied & going. I have to be honest that I have forgotten all about graphic realism and beautiful on games that PS4 have offered way back then. I now understand that I just need a game on the go and it is the Switch. Anyone know how many the Wii U had in its lifetime? @Folkloner Many of the games are ports from other systems, especially PC that I have either already played or have no interest in. So outside of Mario and Zelda, there hasn't been much for me to play this year. I am, however, looking forward to Octopath Traveler. ...so much games... I already super backlogged from other games... Too many games to play so little time. Yes I can. A lot of them I missed out on as a kid so they are new experiences. This is what I keep saying. I have way too many Switch games to keep up! That’s the reason I’ve already got over 25 games on my Switch. So much to choose from. @Folkloner this is exactly why it disappoints me when Nintendo holds an E3 and showcases a single game for over half of it. As Nintendo always says, quality not quantity! @TommyTLG No more Mario Kart. The next entry in that series should be Nintendo Kart (working title of course) featuring a variety of characters like Super Smash Bros.
@N64SNESU Ah yes all the games on the Wii U were great. I can’t forget classics such as Meme Run, Bigley’s Revenge, Mighty No. 9, Hello Kitty Kruisers, Family Game Night 30 Great Games!, Devil’s Third and the best Sonic game ever made Sonic Book RIse of Lyric. I see nobody around here looking at the Wii U through rose colored glasses! @GameOtaku unless the company does some serious investment rather than just attach their name for mutual promotion benefits, big names justifying the price is debatable in itself. XD In the end, it's a market and creators (especially indie devs most of whom don't answer before the jobs and expectations of numerous involved people for how the product sells) need no justification for any price they set. In any case the customer decides whether to honour the askes amount, wait for a lower one or pass up completely. As for Steam, it's one of, if not THE most densely packed online gaming store out there, and many folks naturally account for the competition.